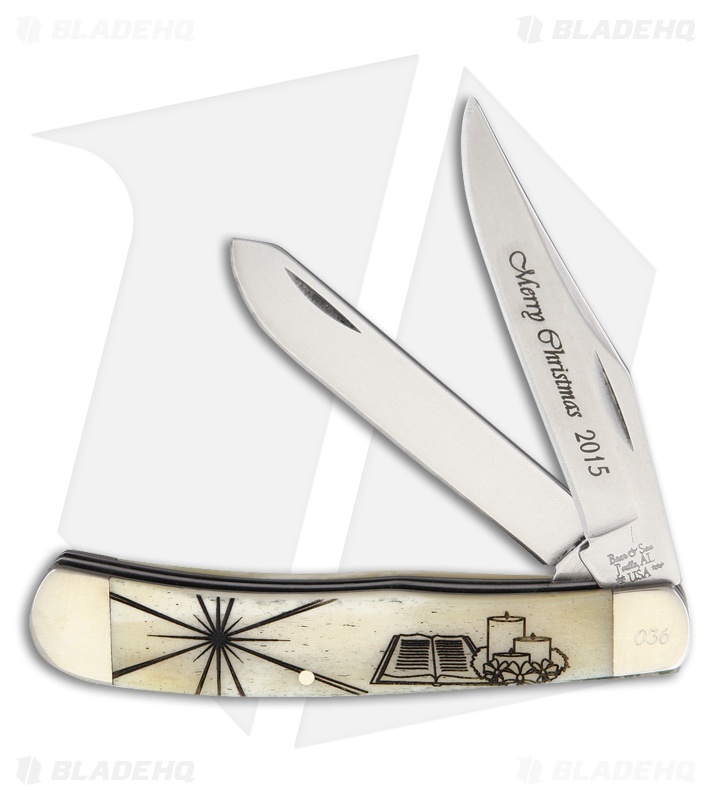 The 2015 Christmas Trapper Knife from Bear & Son Cutlery is a special limited edition series that is perfect for you pocket knife collection. Each knife is individually numbered and comes in a custom storage tin. The pocket knife has the traditional trapper style and features smooth white bone handle scales, with a candle and star graphic etched into one side. There is a spey blade and a clip point blade with Merry Christmas displayed across the front. Add this festive Bear & Son pocket knife to your collection today!